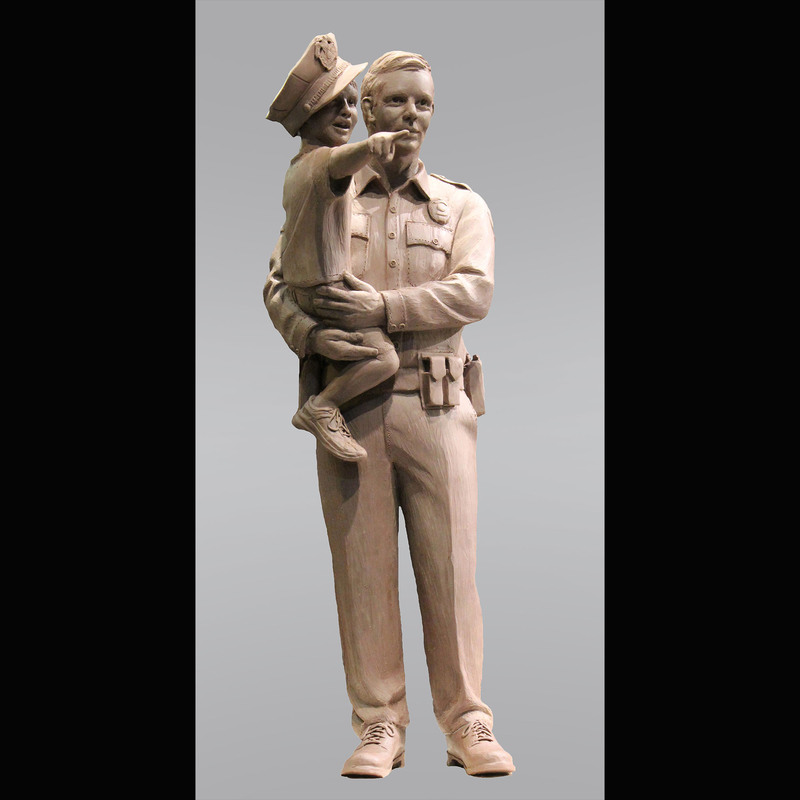 In light of our brave officers, this sculpture is available in larger than life form and desk top size as well. 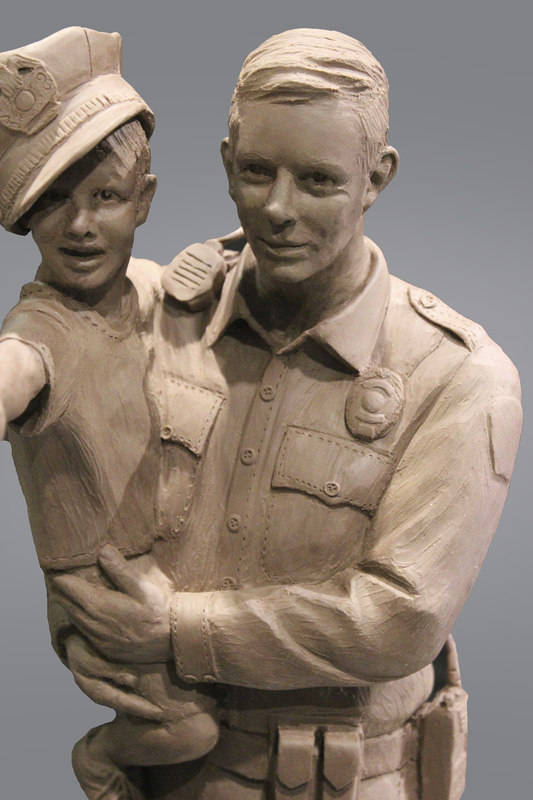 The boy’s face lights up as he is held by the officer that is there to protect, serve, and educate the public and his/ her family. 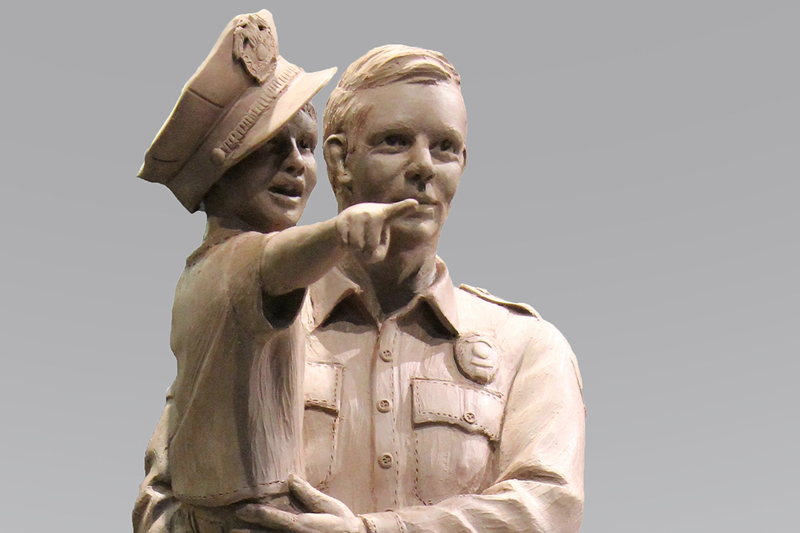 Sculpture as you see here is currently out of clay and will be bronzed soon.